You don’t have to be a kid to love dinosaurs, nor do you have to be four feet or under to have a stellar visit at the Royal Gorge Dinosaur Experience, Canon City’s newest and highly-rated attraction. 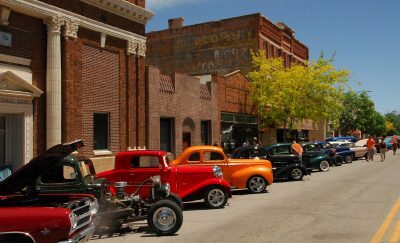 Just west of downtown Canon City, you’ll find a state-of-the-art facility that features science-focused interactive displays, full-scale dinosaur fossil casts, hands-on exhibits with real dinosaur fossils, skinned animatronic dinosaur exhibits, and a three-story ropes course that’s perfect for getting the wiggles out. In the 1870s, when very little was still known about dinosaurs, two paleontologists—Othniel C. Marsh and Edward D. Cope—uncovered the first of many fossilized bones in Cañon City’s Garden Park area. The subsequent “Bone Wars,” during which scientists raced to discover new species of dinosaurs, put Garden Park, and Cañon City, on the map. Since then, many well-known species of large dinosaurs have been discovered at this and other sites throughout Cañon City, some of which are now exhibited at such renowned institutions as the Smithsonian Institute and the Denver Museum of Nature and Science. Today, the Royal Gorge Dinosaur Experience brings attention to these discoveries by teaching visitors about the significance of the Royal Gorge Region’s dinosaur discoveries. In its beautiful building, visitors can view a real paleo lab, where unearthed fossils from Cañon City and other parts of the country are cleaned and prepared, see a dinosaur-related film in a large, state-of-the-art theater, or let the little ones loose in child-focused exhibits that included games, multi-media stations, and age appropriate content. Outside is the museum’s Wild Walk, a smooth dirt trail that meanders through a high plain desert forest that’s home to 16 different life-sized animatronic dinosaurs—some that track your movements! Also outside is the three-story ropes course that brings you face-to-face with an 80-foot long diplodocus and a 20-foot high T-Rex. 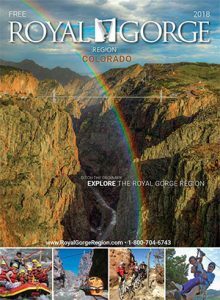 For any dinosaur, history, or nature-lover, no trip to the Royal Gore Region would be complete without a stop at the Royal Gorge Dinosaur Experience. To learn more, visit www.dinoxp.com.